My commercial WordPress theme from 2009, Abandu, just got updated to version 2.0. 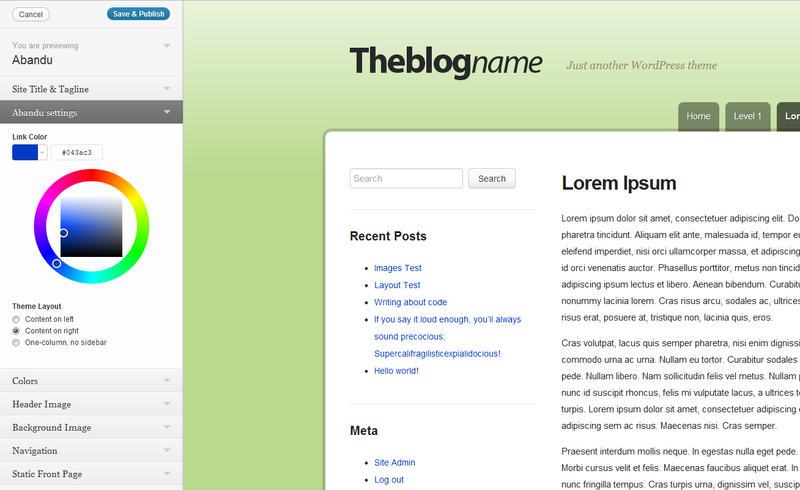 The theme has been completely rewritten from scratch and is much better than before. The design has been improved, the markup is now HTML5, it’s responsive and it now supports the new hot WordPress 3.4 features such as the Theme Customizer. It also supports the improved custom header and background features. 6 Widget-ready areas: Sidebar, Single Posts, Three footer widget-areas and the 404 error page. Localization Support (contains .pot file) – Danish translation already added! The theme supports the new WordPress 3.4 Theme Customizer feature which allows you to make changes to the theme and live preview them.